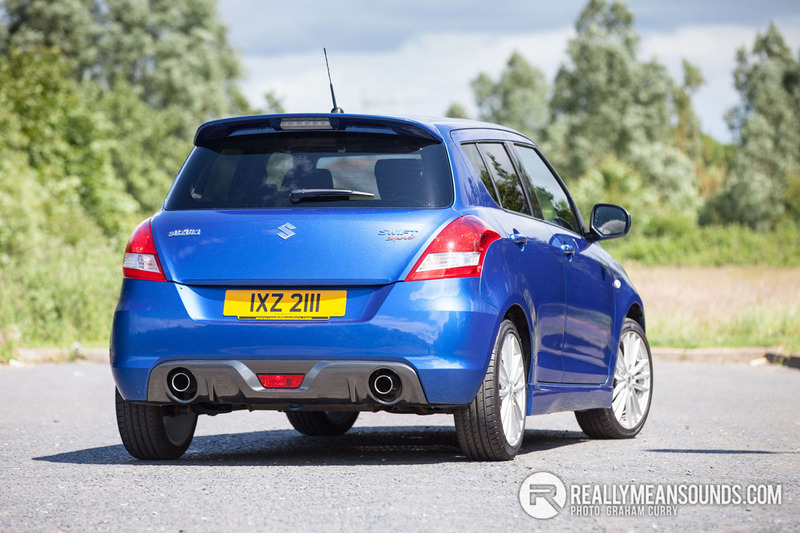 For as long as I can remember Suzuki have offered the Swift model in their vast range of cars and if memory serves me correct the models from 20 or so years ago came in a faster, better handling package known at the Swift GTi. This model was a firm favourite among enthusiasts and rally drivers alike partly due to its handling but mainly due to the engine which back then was a 1300cc 16v DOHC unit producing 100bhp as standard. Said engine found its way into many class 2 rally cars in fact. The old generation model can still be seen on rally stages across Ireland and Barbados alongside prepared versions of the latest Swift model which is testament to the chassis and engine combination and indeed Suzuki have built some pretty special versions for rallying themselves. 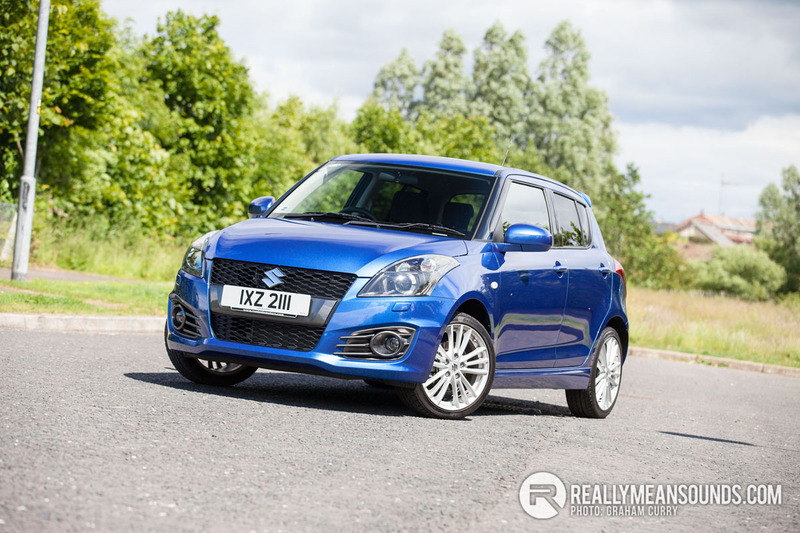 Welcome to the 2016 Suzuki Swift Sport, a car which has looked very similar on the outside since it was launched in the current guise in 2010 (or 2011 for the Sport model) though somehow has escaped the passing of time as in fairness it still looks very fresh and up to date. Outside the Sport model comes as standard with Xenon headlamps, large fog lamps and full colour coding with the addition of a dual exit exhaust system, side skirts and a rear roof spoiler to give it that aerodynamic edge and sporting looks. Available in either 3 door or 5 door the Sport will fulfil the needs of most small car buyers. Finished in Boost Blue Pearl metallic (Sport models come with metallic paint as standard) I must say this model tested certainly looked fantastic, especially in the sunlight against the hyper silver 17inch alloy wheels that come as standard with Continental Contact Sport 3 tyres. 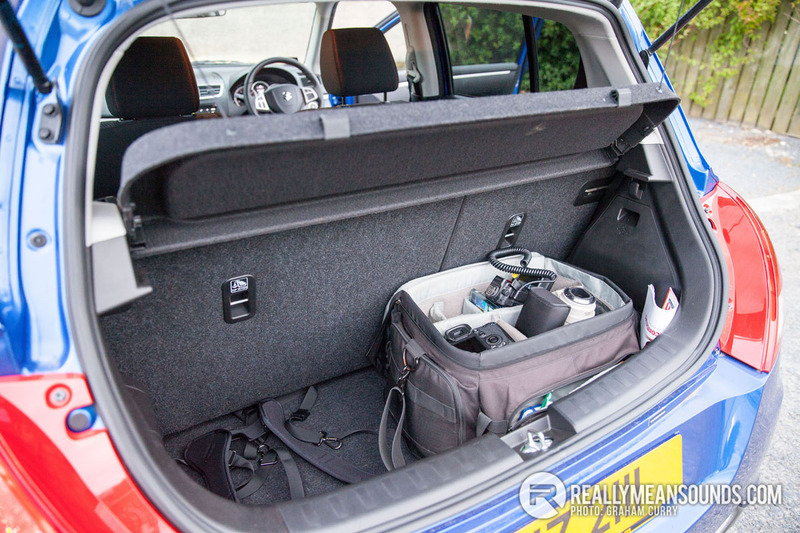 With all small cars, load space is something that usually gets sacrificed in lieu of better cabin space for occupants and the Swift Sport is one of them. As far as small cars go however it is better than some, although compact a small buggy and some shopping will fit, a weekend bag for two or a Jack Russell and pair of wellingtons. Inside the cabin the Sport as you may expect is treated to a set of sports seats which in all fairness worked well at their job of keeping you in place. Comfortable with an abundance of bolster support and the cloth was held together with red stitching whilst the sport logo was on the uprights of the front seats in red also. Standard equipment inside the sport includes cruise control, electric windows & mirrors, keyless entry with a start/stop button on the dash just to the right of the steering wheel, climate control along with automatic headlamps, and an abundance of infotainment. 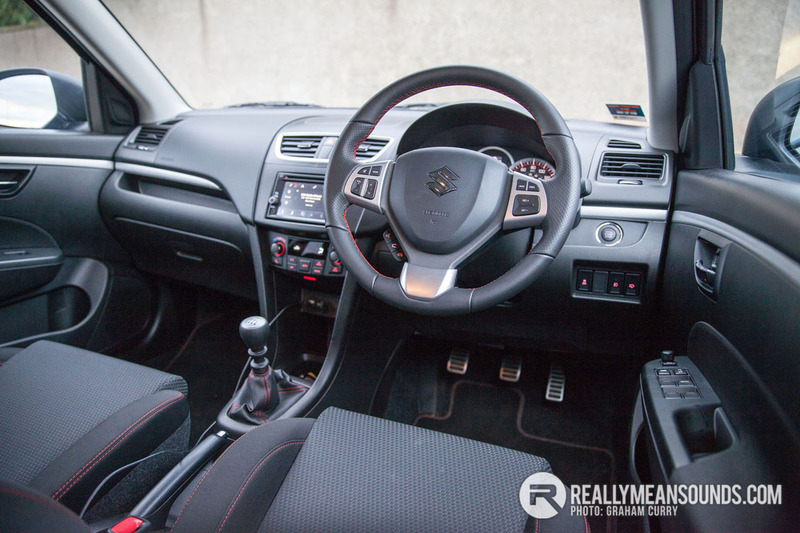 This infotainment is all visible via the decent sized touch screen built into the dash and controllable via the steering wheel as well as touch screen. DAB Radio, Bluetooth, SatNav, USB connectivity, AUX Input and MP3 playback are all included as standard on this easy to use system. 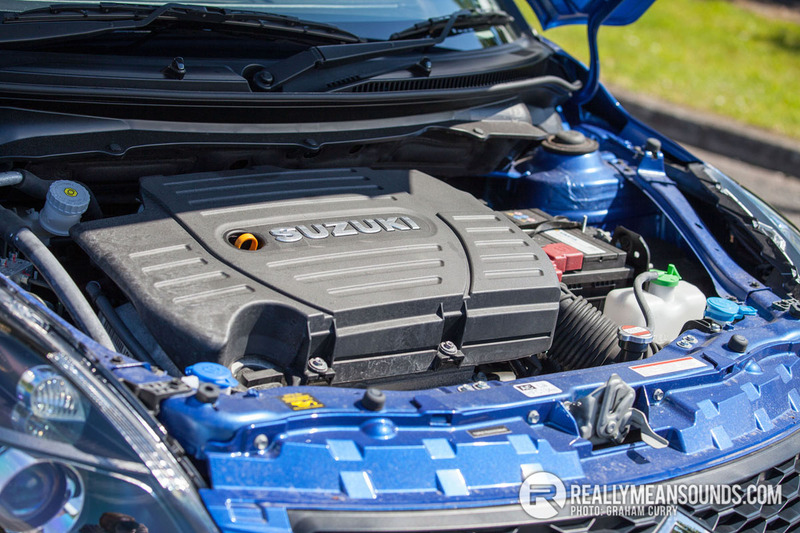 Engine wise there is only the one option available for the Swift Sport and that is a 1600cc 16v petrol unit producing a healthy 136bhp with 118lb/ft and when pushed and revved it certainly impresses for such a small lump. Around town it can feel a little lacklustre however it is fully forgiven with its performance outside of town. Averaging close to 40mpg over a weekend review of mostly enjoying what the Sport is all about for want of a phrase, I thought this return was rather good indeed. Handling wise and there really is a huge surprise in store for you if you have never driven one before. Over the years of driving cars and writing reviews I have always been told that the Swift Sport is a fantastic little package when it comes to engine matched to chassis and it is something that I hadn’t paid much attention too as a Swift Sport was never on my “to own” radar. That said and now that I have a couple of hundred miles under my belt in a Swift Sport I must say it is one of a handful of cars that provide big fun in a small package and the most of that fun is simply down to the superior handling. With new models starting at £14,149 for the 3 door and £14,649 for the 5 door it is a very sensibly priced little car with this exact test model available for a mere £11,995 from Roadside Motors Lurgan used forecourt. So for those that need some fun, economy and still keep a small amount of practicality then certainly give this little car half an hour of your time when shopping.